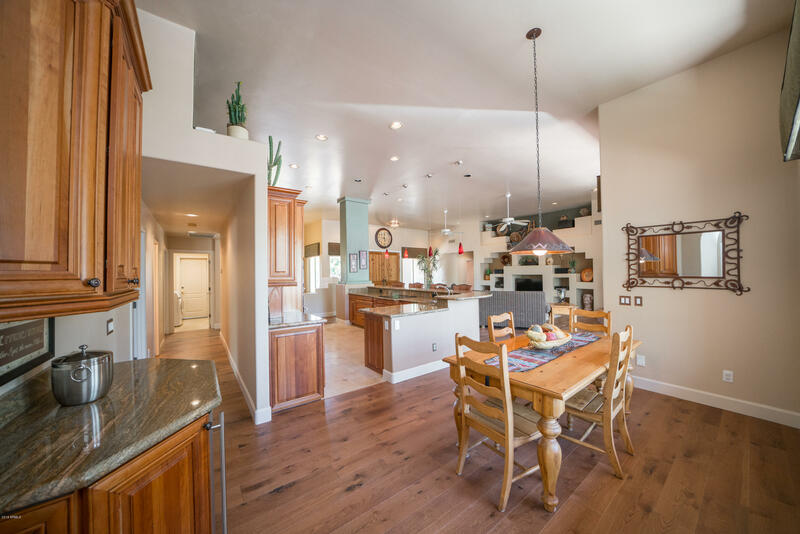 You have been waiting for this Home! 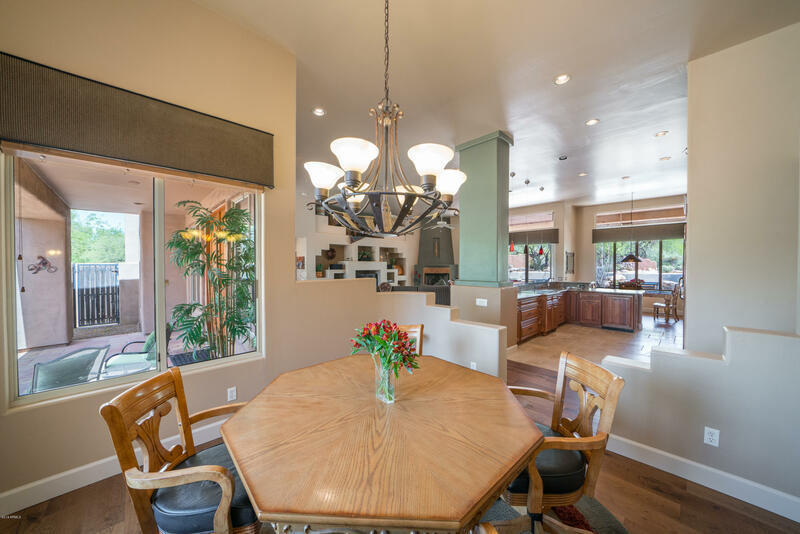 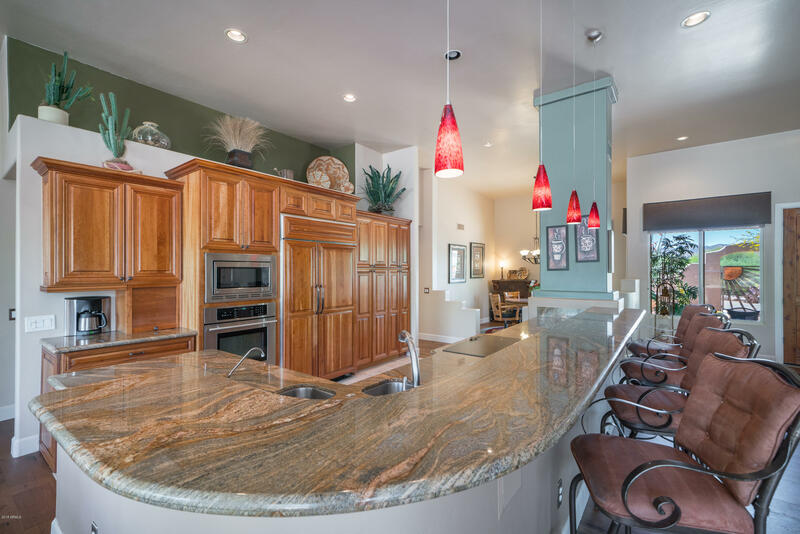 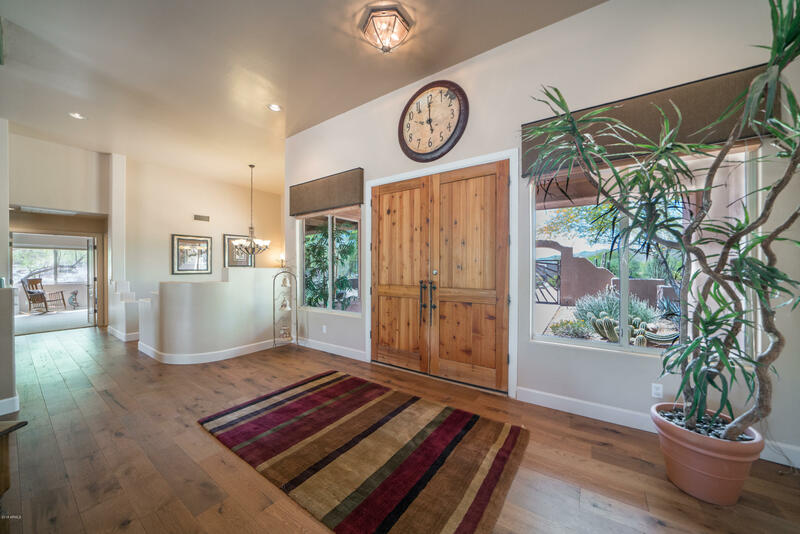 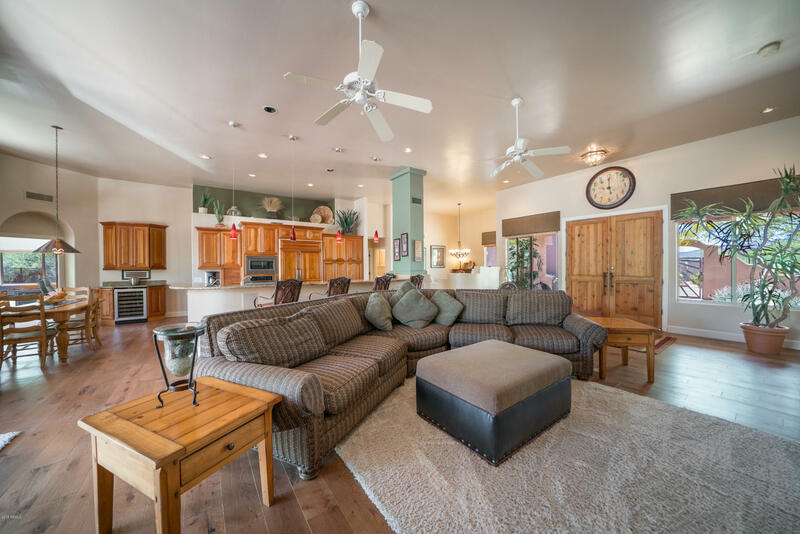 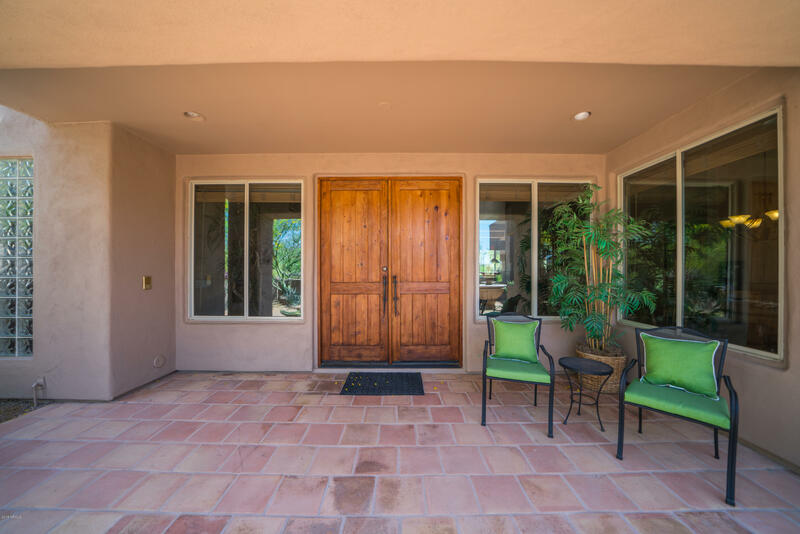 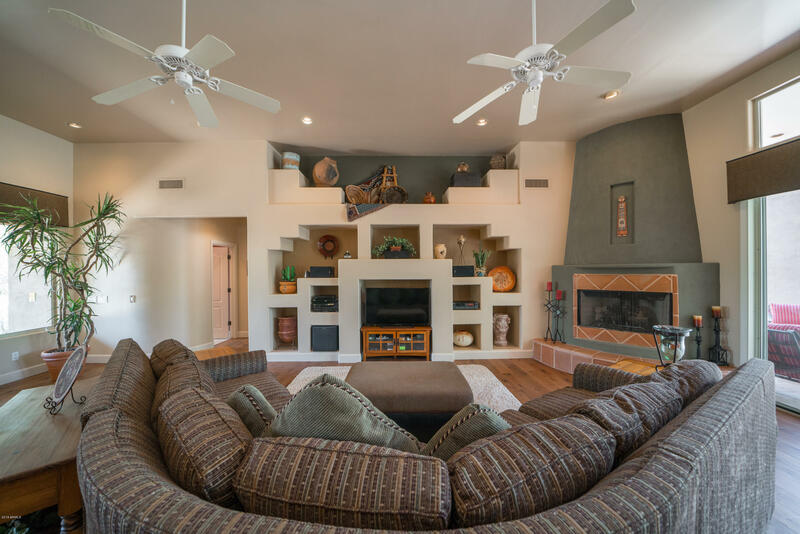 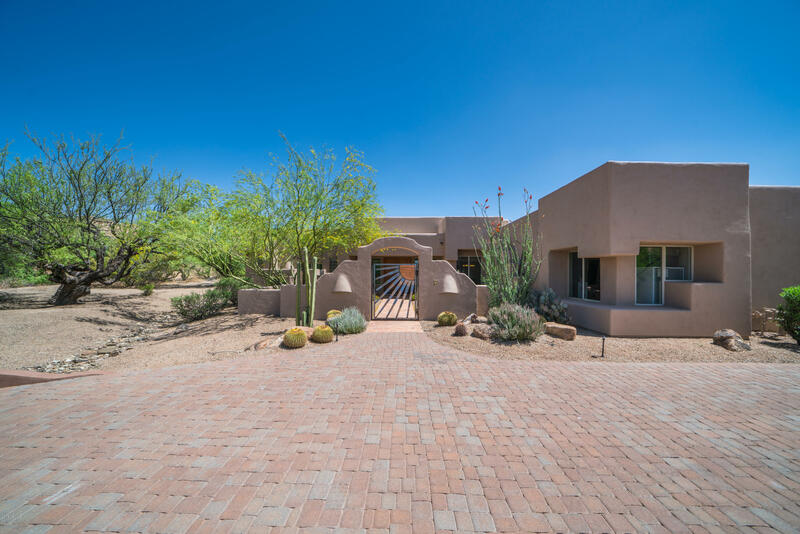 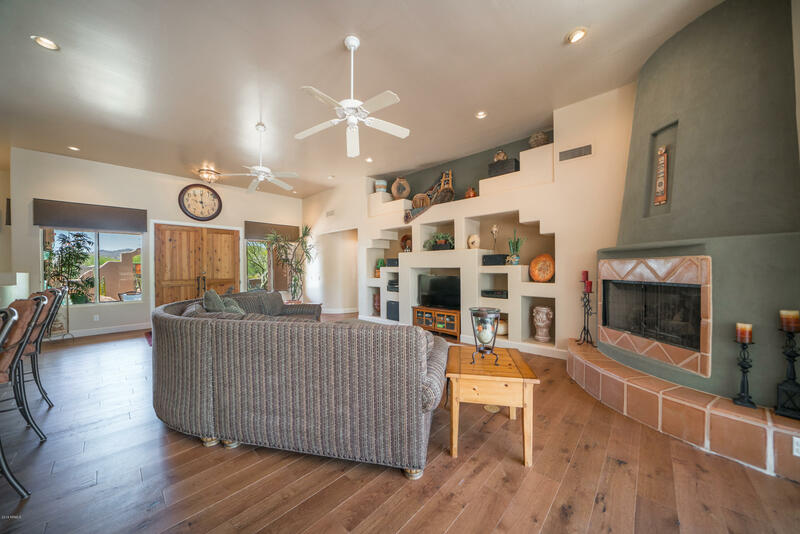 Custom Santa Fe with Zero steps, and no HOA is located near Rancho Manana Resort. 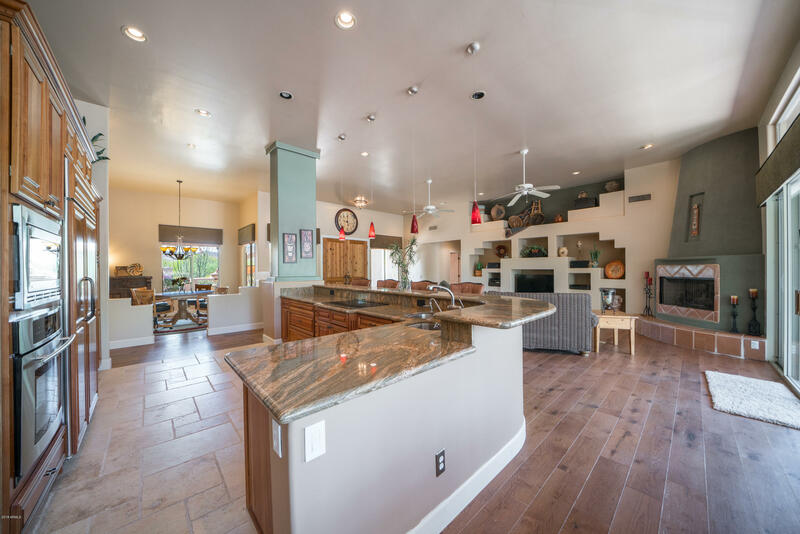 Very open floor plan concept for gatherings & entertaining. 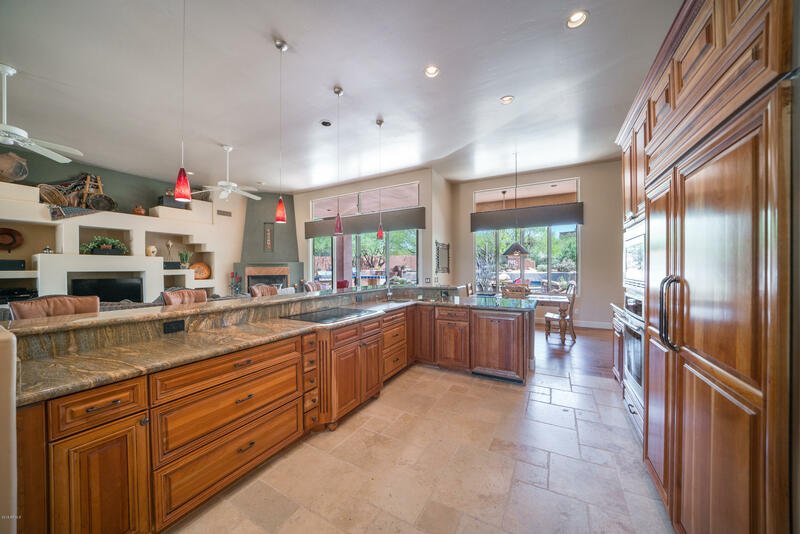 Large Kitchen with HUGE bar island is open to Great room, formal & informal Dining areas. 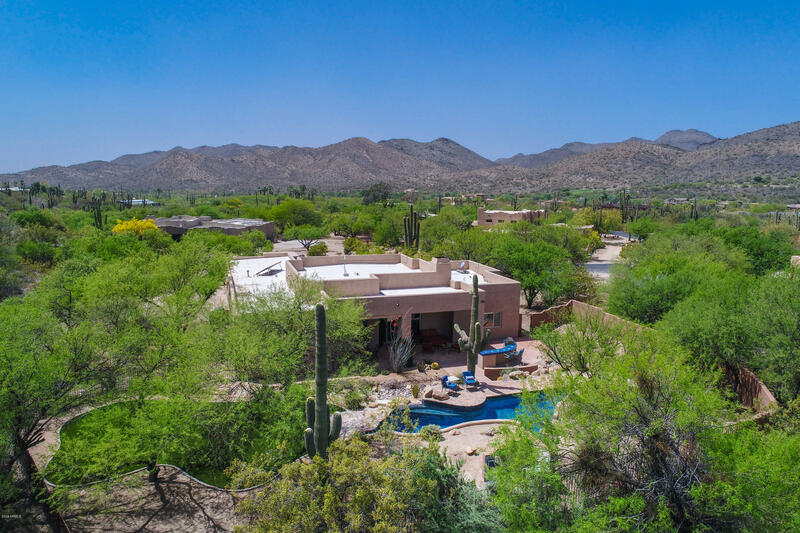 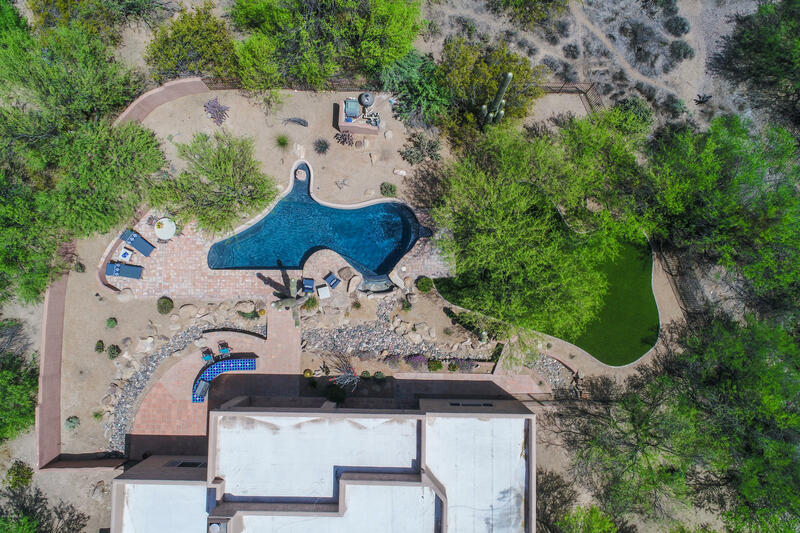 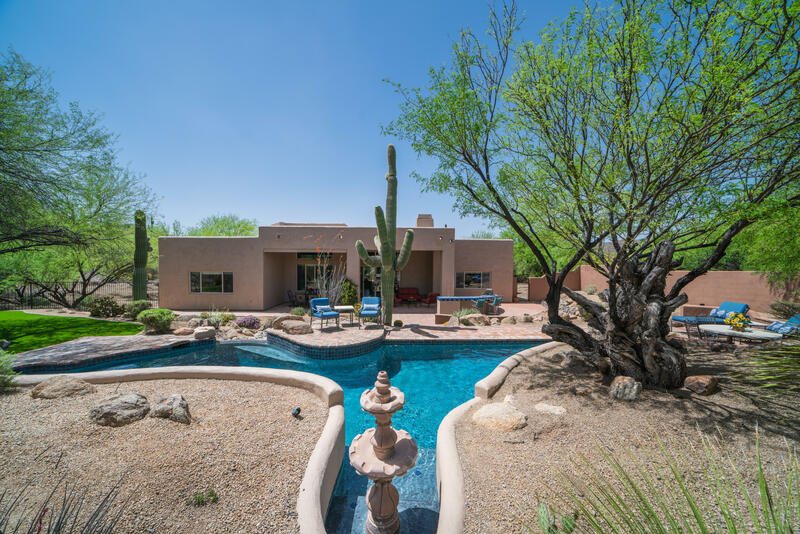 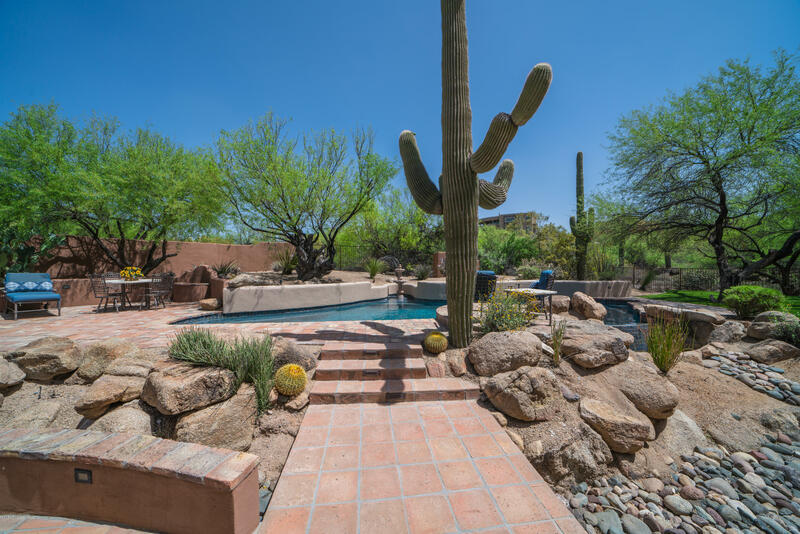 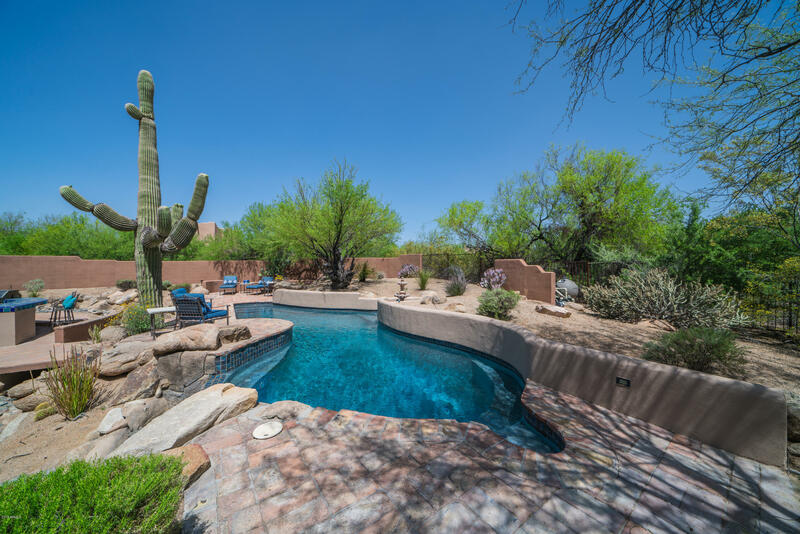 Resort style custom backyard & pool areas with tall, mature mesquite trees & 3 large Saguaro. 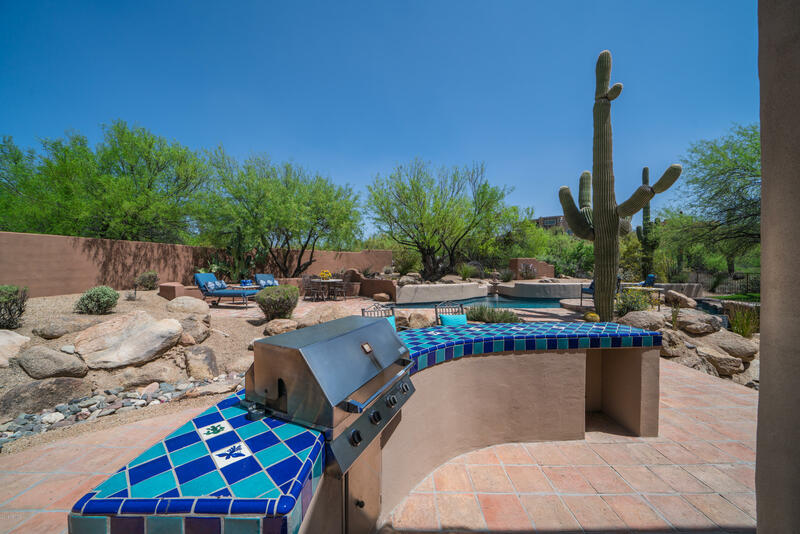 Built in BBQ with bar and barstool seating, additional entertaining areas with Saltillo & Mexican tiles, cozy firepit. 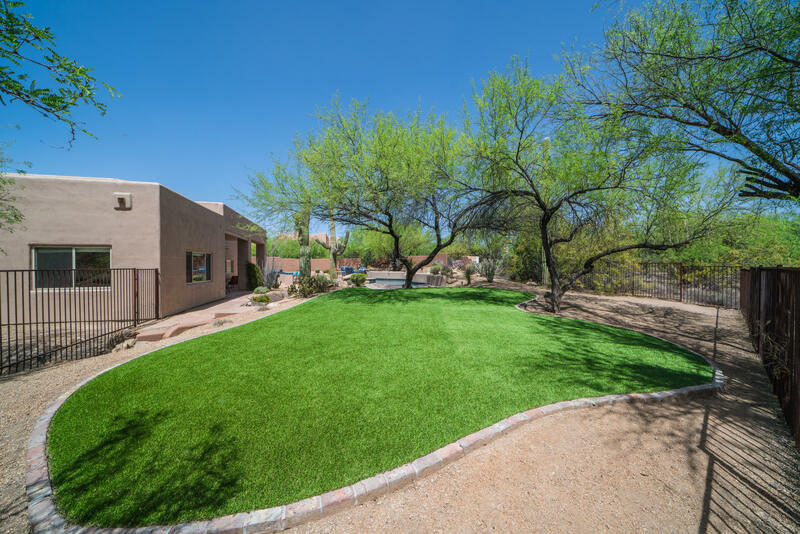 Elevated faux grass area for games, no watering or mowing! 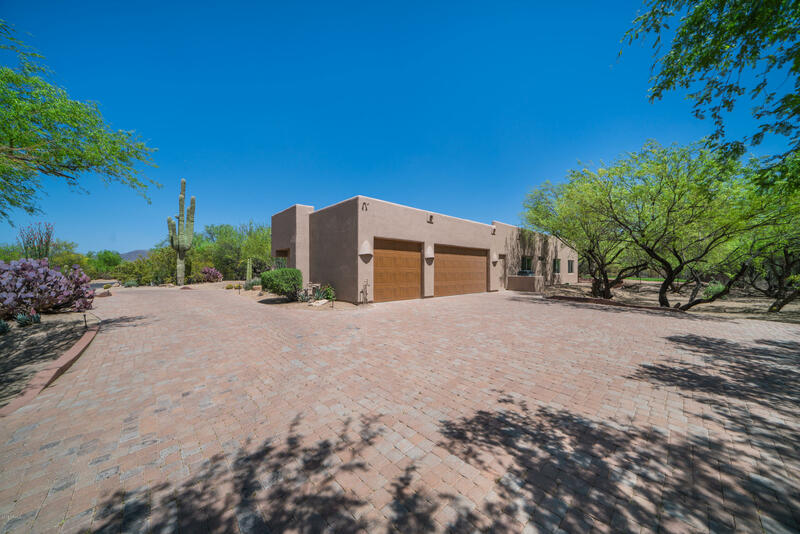 Circular paver driveway provides parking for a crowd. 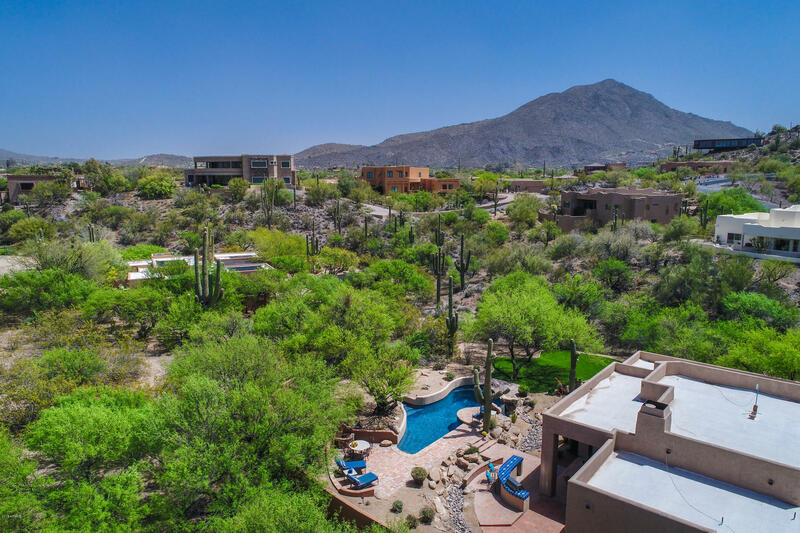 Extremely private location with mountains surrounding the area. 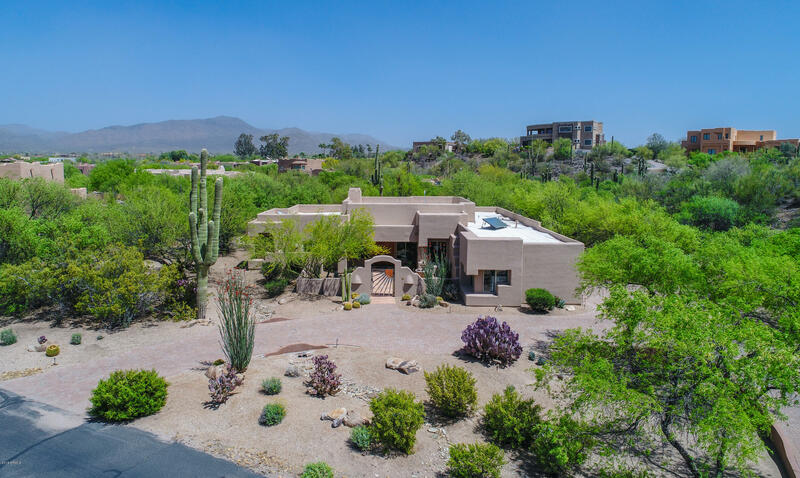 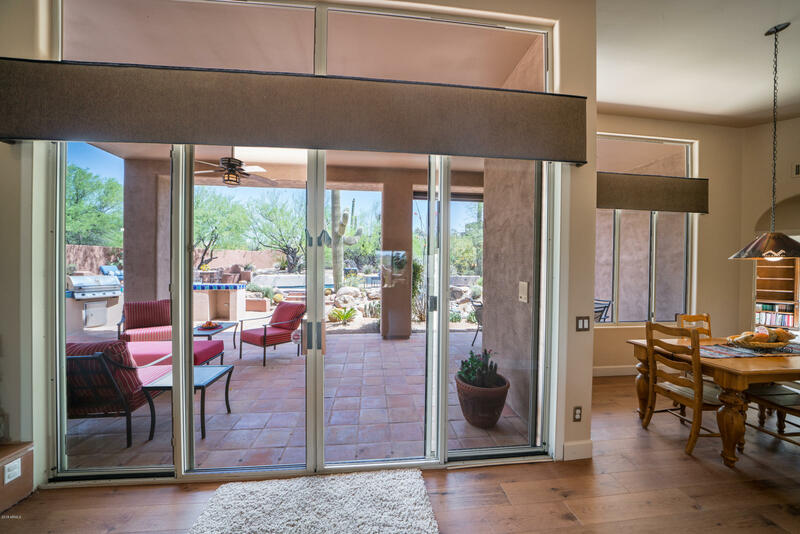 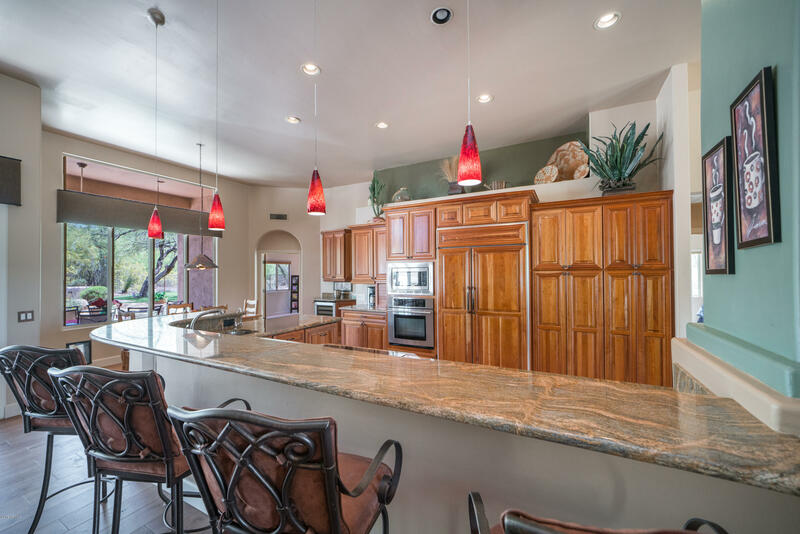 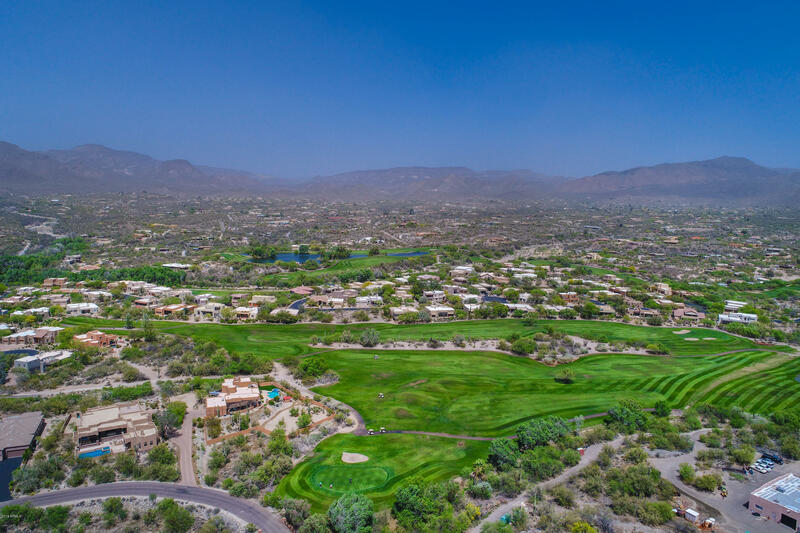 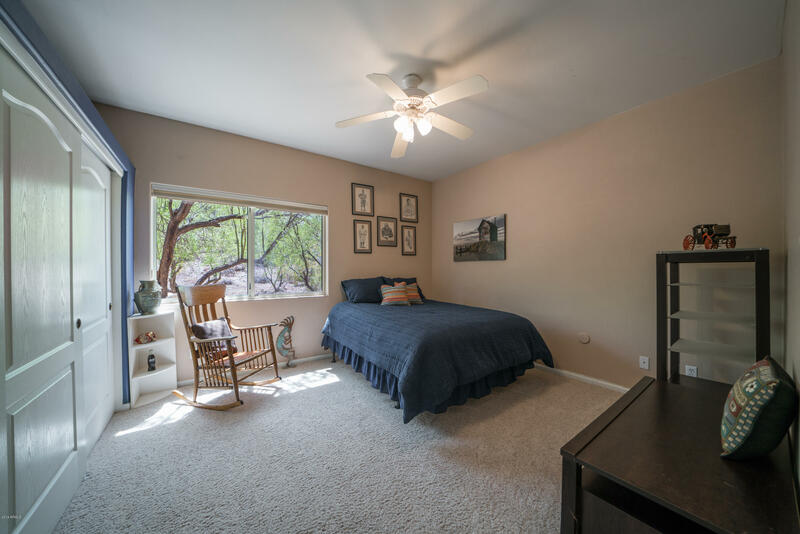 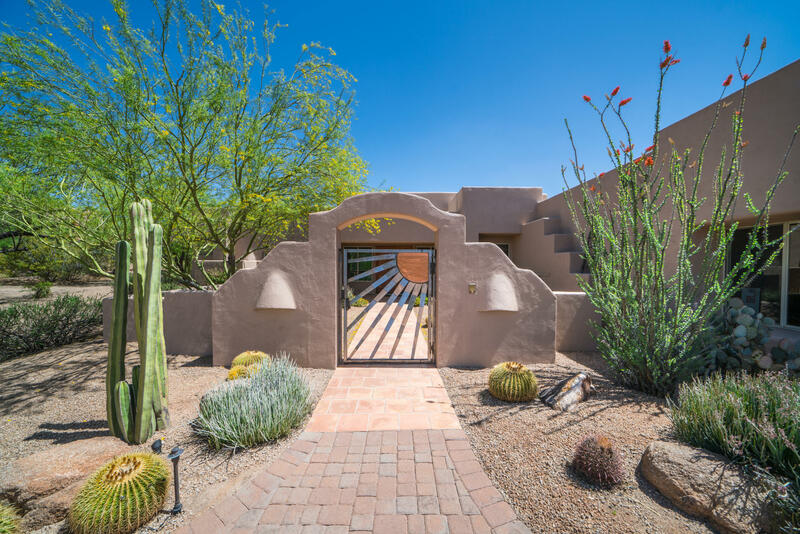 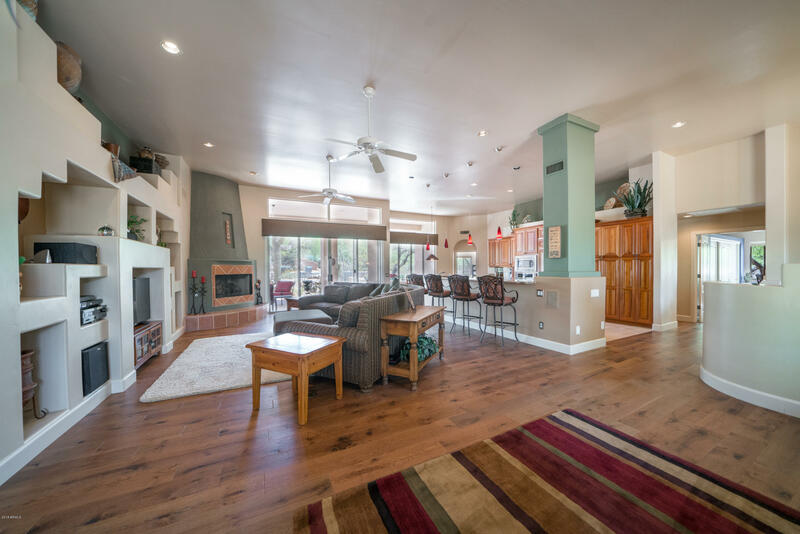 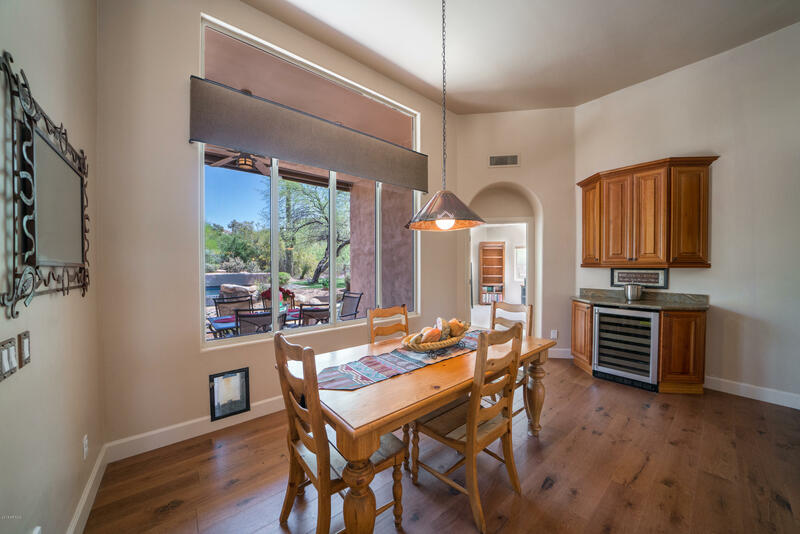 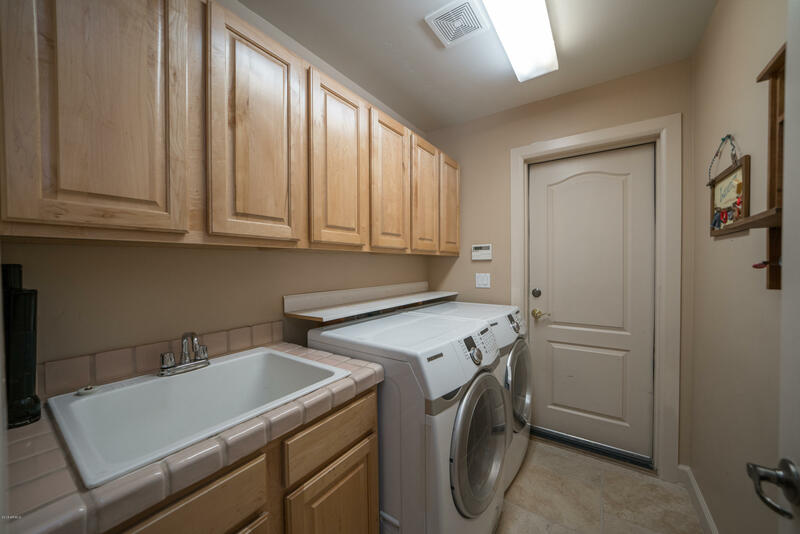 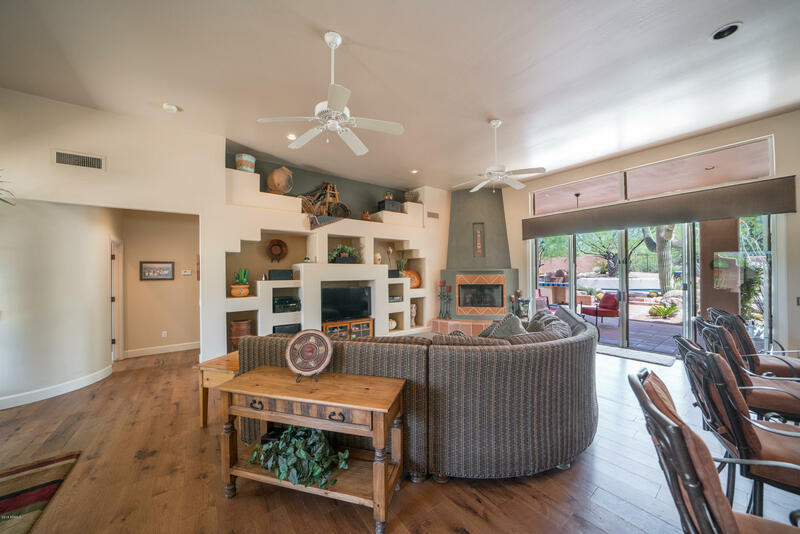 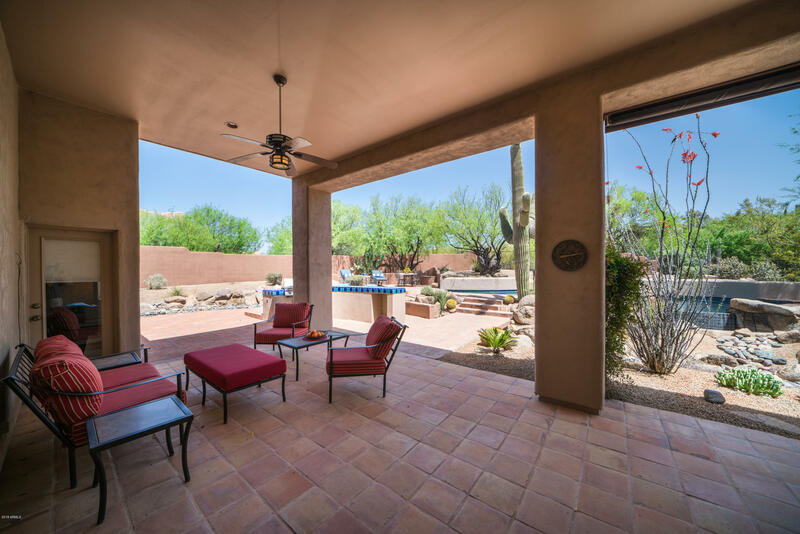 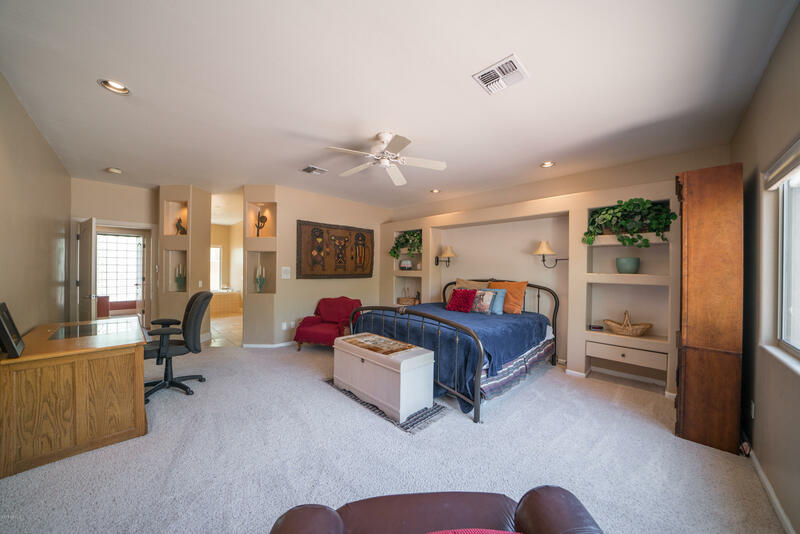 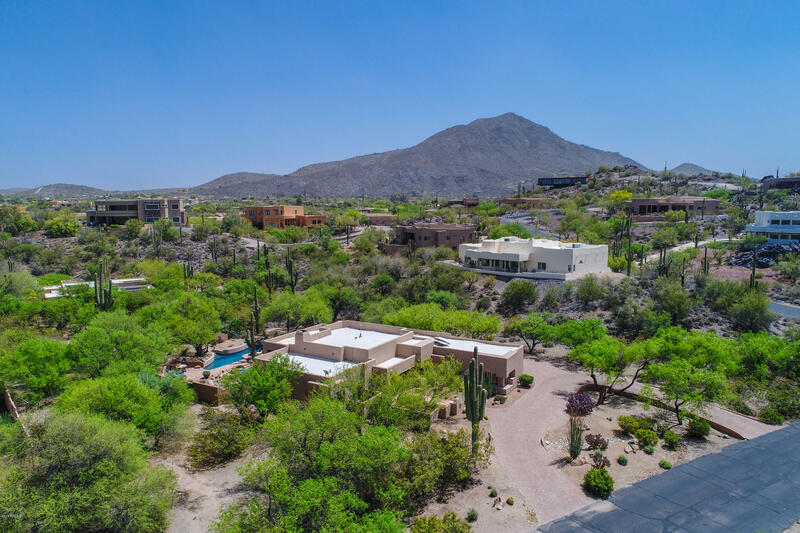 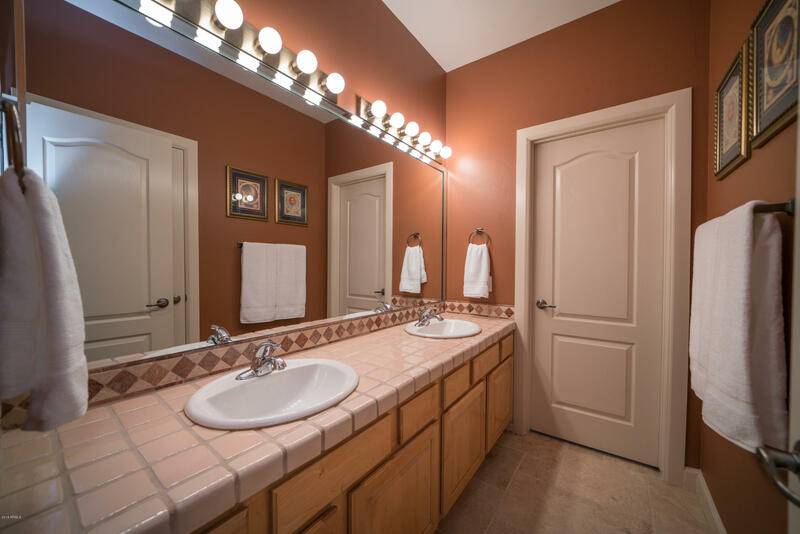 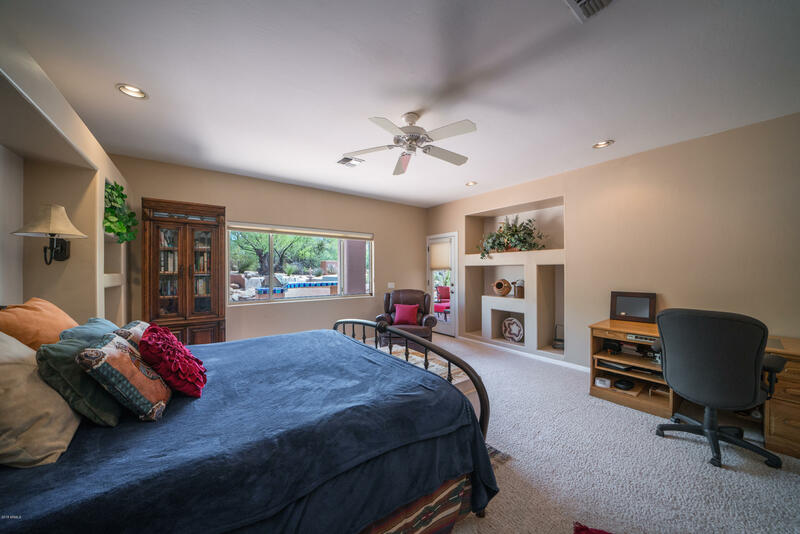 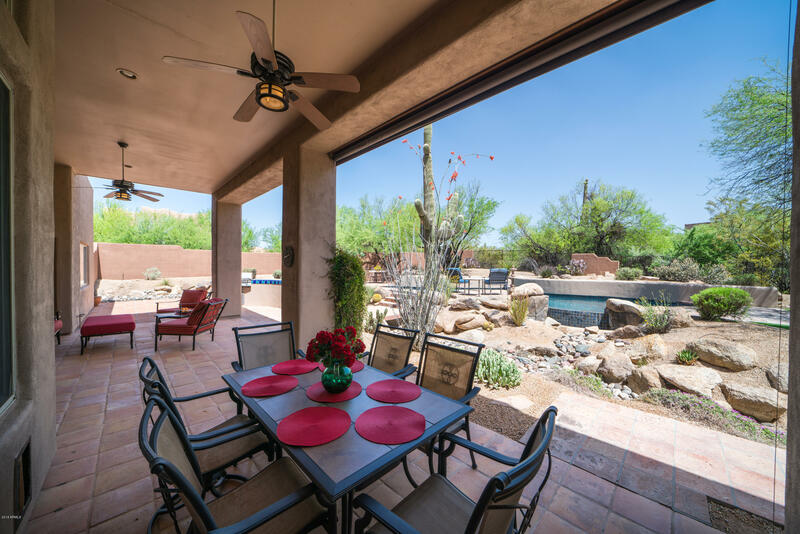 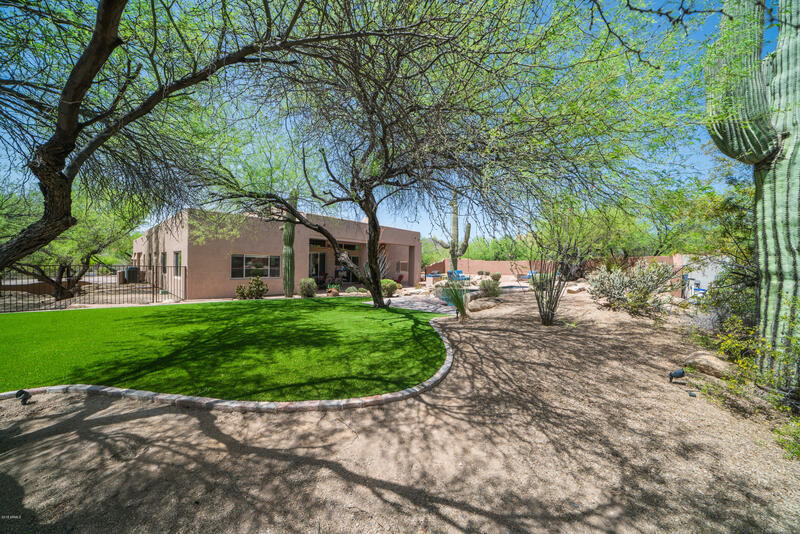 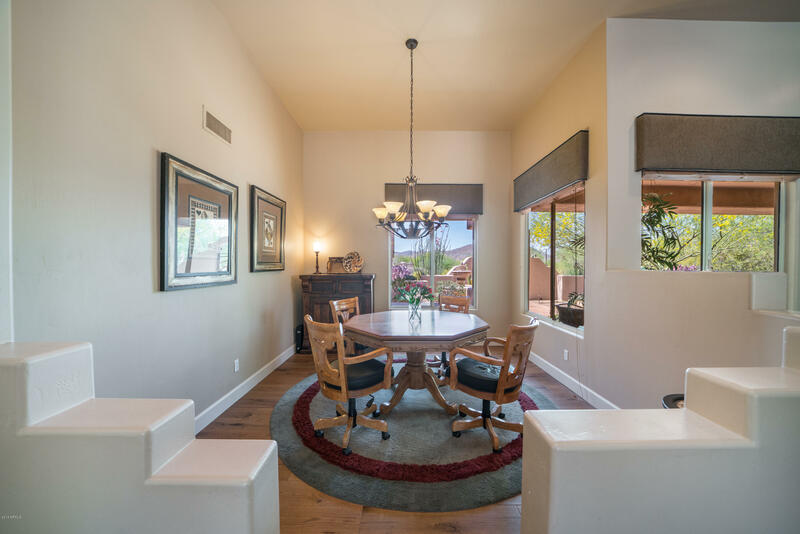 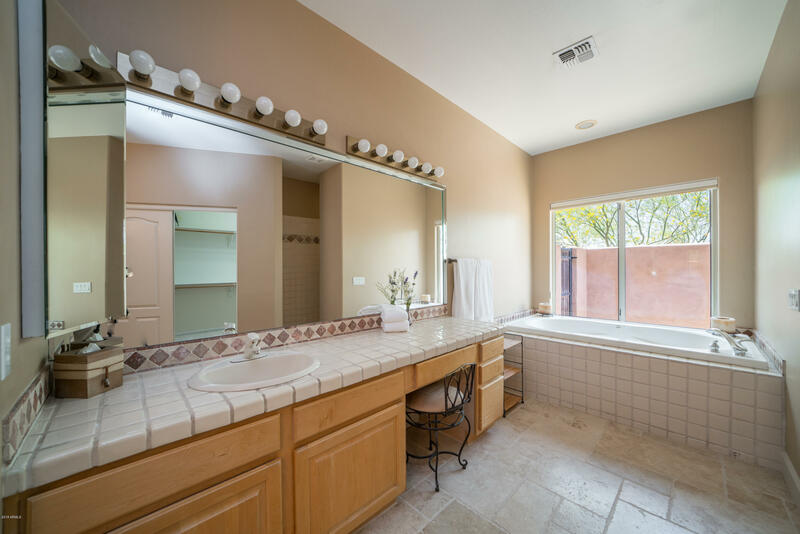 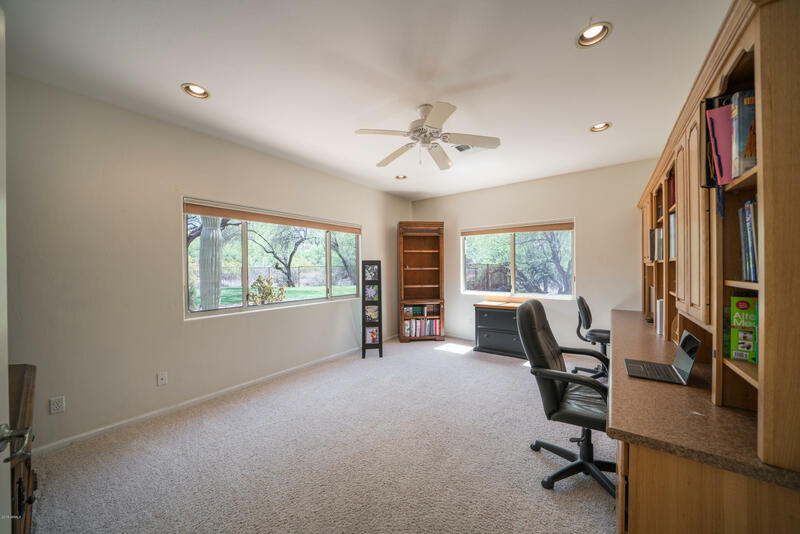 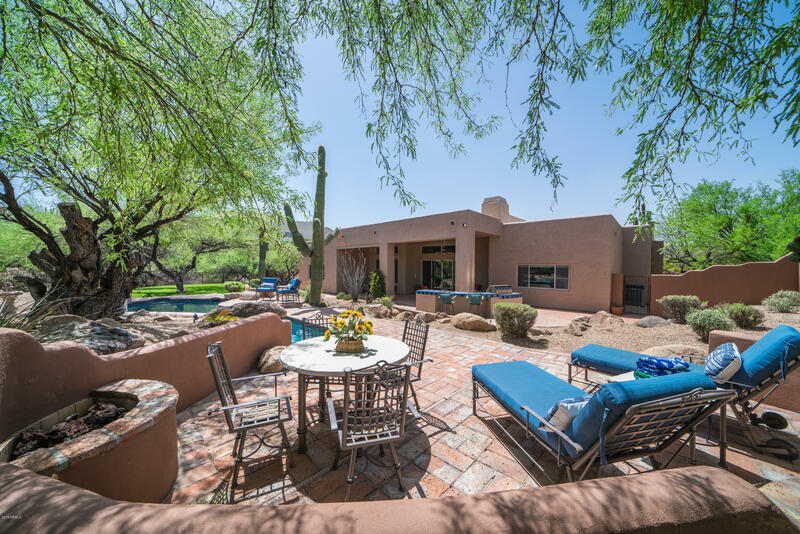 Close to shops, restaurants, art festivals, parks, trails & golf in historic Cave Creek. 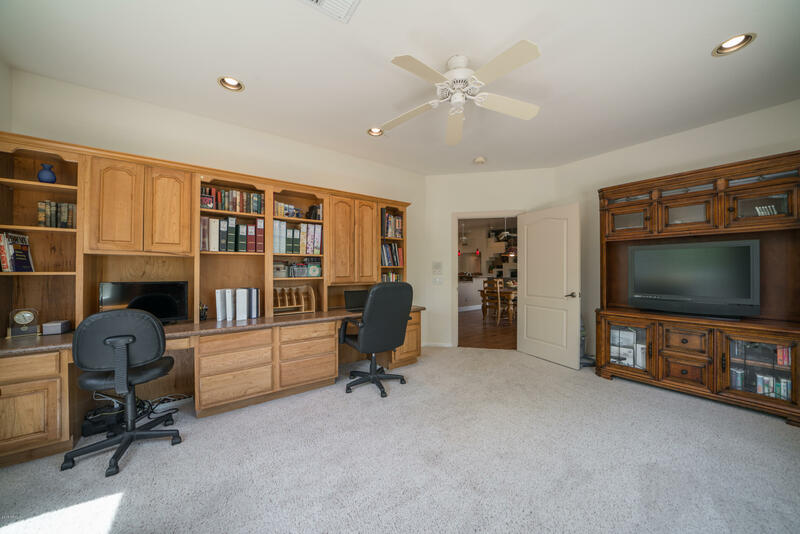 Price includes $ 10,000 decorating allowance.